The story shifts moves King Leontes' court in Sicilia and Bohemia. The complications arise from King Leontes' and his Queen's friendly attentions to the visiting King of Bohemia. Despite a trial at which the Oracle from Delphi declares the queen guiltless, the King banishes her. Their young son, Mamillius dies of grief but the Queen's newborn baby daughter, Perdita, is snatched from death by a Bohemian shepherd who raises her his daughter. There's a time lapse of sixteen years between the Queen's banishment and the story's long-delayed happy ending and with a few surprises. there was a huge demand for new entertainment and The Winter's Tale would have been produced immediately following the completion of the play. It is believed that The Winter's Tale was first printed in 1623 in the First Folio. 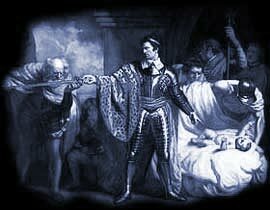 As William Shakespeare clearly did not want his work published details of the play would have therefore been noted, and often pirated without his consent, following a performance. The number of words in The Winter's Tale, according to the Complete Public Domain Text is 25,984. The quote from the Winter's Tale are amongst Shakespeare's most famous including 'You pay a great deal too dear for what's given freely' Details of this famous quote follows, complete with information regarding the Act and the Scene, allowing a quick reference to the section of the play that this quotation can be found in. Please click here for the full text of the script of the play. Shakespeare found the story in "Pandosto", written in 1588 by Robert Greene. Greene's reference to Shakespeare in his autobiography, Greene's "Groatsworth of Wit" (1592) referred to him as an "upstart crow"